DO PUBLIC ENJOY THE THALA - THALAPATHY REFERENCES? 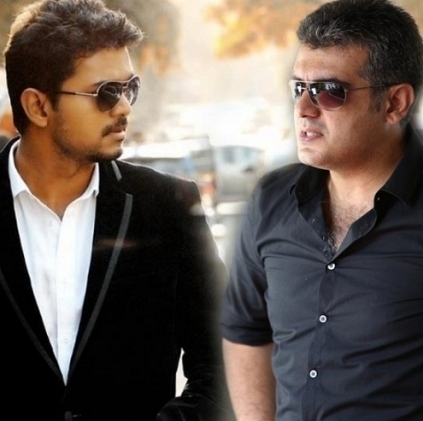 We all know that Thala Ajith and Thalapathy Vijay are the hot favourites of the Tamil film industry. They have a huge fan base and both the charismatic actors are major crowd pullers. But using their names, dialogues and mannerisms in other films by other heroes and comedians has become a rising trend in Tamil cinema. We recently conducted a Behindwoods poll regarding this frequent usage of their references. The options being: 1.We love it and 2. Shabba, Podhum da Saami. To everyone’s surprise, the percentage was very even and ended on an exact 50-50. Not an inch this way or that way, just as half the number of people enjoy their references in other movies, half of them don’t and think it is high time to stop using their names to get the crowd going for another movie. However, it is a known fact that using their names and dialogues brings about a roar in the crowd of the audiences and they get excited all of a sudden in the midst of a movie. Whether it’s a healthy thing or not is left to how we take it but the result of the poll tells that it just cannot be decided or done away with just as it cannot be always used. For more such stories and polls, stay tuned to this space and the Behindwoods Twitter handle. People looking for online information on Ajith, Ilyathalapathy Vijay will find this news story useful.